The Assistant Chief of Staff for Human Resource and Employee Relations at the Ministry of State has spoken of the need for Liberians to give President George Weah a chance because he has the vision and determination to develop the country. Mr. Mohammed Kromah said President Weah means well for the country and called on his countrymen to rally around him to build a great and prosperous nation. 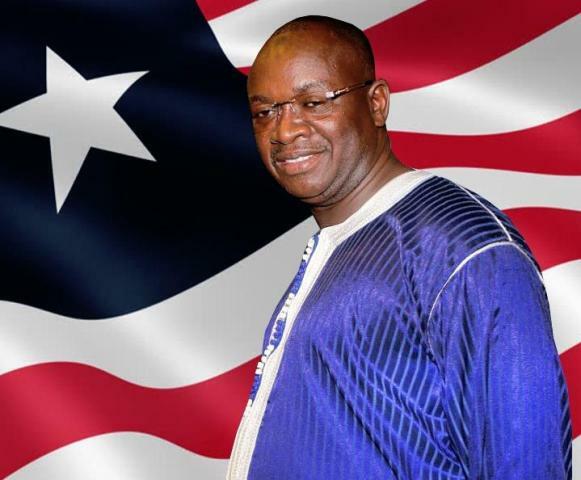 The election of the President, according to Mr. Kromah, is a loud expression and reflection of the will of the majority of the Liberian people and a demonstrative celebration of the country’s nascent democracy which must be respected. Mr. Kromah, as guest speaker of the 28th Graduation Convocation of the Muslim Congress High School, urged students and Liberians in general to celebrate the fact that they havea young president with energy, dynamism, zealousness and unpretending valor, behind whom they must combine their collective forces for the success of the administration. Meanwhile, the Ministry of State Human Resource head has called on the graduates to venture into sciences in order to explore, harness and challenge their ingenuity as well as innovative spirit and sensitivity. “Venturing into the sciences will enable you to become problem solvers, develop inquiring minds, attempt and reason puzzles and in the end you will become nation builders,” he told the graduates. He challenged the graduates to widen their horizon and find a place in society, while also using their talents to contribute to the government’s Pro-Poor Agenda of transformation and development. “Let me call on you to reach out and share the knowledge acquired and develop community service and projects for safe and improved public places, something I believe will enhance productivity,” he noted. Mr. Kromah also admonished the graduates against the rampant use of social media which he says has become the subject of abuse, and even led to a breakdown of the moral fabric of the society. Mr. Kromah commended teachers of the institution for impacting quality education unto young Liberians which will help to decrease the hardship they encounter in urban and rural communities.